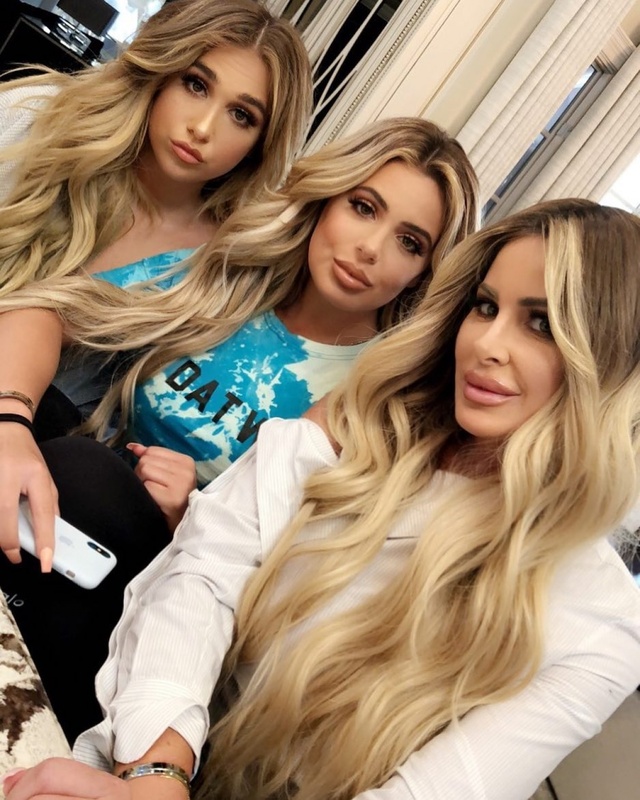 Kim Zolciak and her daughters Brielle and Ariana are a lookalike trio in a new photo. The 40-year-old reality TV star shared a picture on Instagram with her "Biermann Babes," 21-year-old Brielle Biermann and 16-year-old Ariana Biermann, her two eldest daughters with husband Kroy Biermann. The picture shows Zolciak, Brielle and Ariana striking a pose for a selfie. All three women sport long and wavy blonde hair, matte and neutral-colored makeup, and glossy lips. "The Biermann Babes @arianabiermann @briellebiermann," Zolciak captioned the post. Zolciak is also parent to 7-year-old son Kroy, 5-year-old son Kash and 4-year-old twins Kaia and Kane with Biermann. She often shares photos with her children, including a slideshow with Brielle during a flight in June. "Delta Diaries Today @briellebiermann and I are a few miles high," the star wrote. Zolciak said in an interview with The Steve Harvey Show in January that she wants Biermann to reverse his vasectomy and possibly try for another child. "I went back to work seven days after I had KJ, a couple of weeks after I had Kash, and shortly after I had twins," she said. "I didn't really have a break. So I dream of having a baby and just six weeks off, and living in that fantasy world." Zolciak came to fame on the Bravo series "The Real Housewives of Atlanta," and presently stars with her family on "Don't Be Tardy."